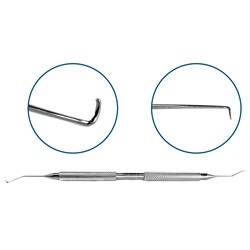 Double-ended, angled shafts, 10mm from bend to tip, C-shaped blunt chopper tip, 1.0mm pointed sharp quick chop tip. Round handle. 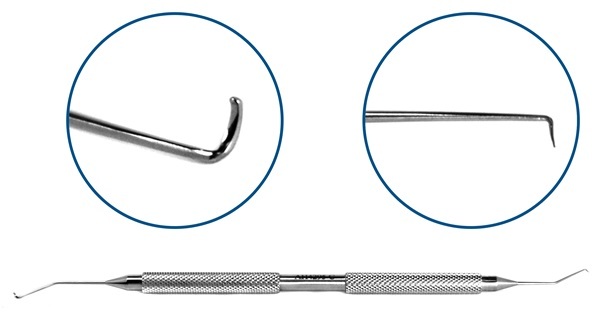 Overall length: 137mm.